Swimfassst - Newest Swim-Training Aid! Finding the swimming 'Sweet Spot'. 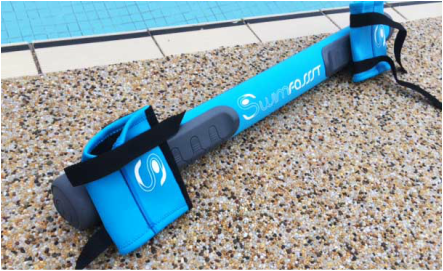 Manly local Craig Riddington (former surf ironman and Australian swimming representative) has developed a new swimming device that guarantees to help to improve your swimming stroke. Craig also provides surf swimming tips on our Bold & Beautiful website. Have you always wanted to swim fast? The Swimfassst swimming device will provide swimmers with the ability to understand and self-train the correct swimming technique by way of basic drills performed with the device. Forcing you to achieve correct front of stroke angles, streamlining, body roll, and muscle memory. Craig Riddington - Past Australian Swimming representative, and Surf Ironman Champion.